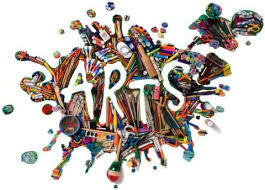 Please come to the Joseph H. Gibbons Elementary School Fine Arts Festival being held at the Gibbons Elementary School, 235 Morton Street, Stoughton MA. on Monday April 29, 2019. The doors will open at 6:30 pm. See the displays of the Artists and listen to the Music of the talented young students from a year of hard work and learning. The students would love for you browse their art work and listen to them play the music they have been practicing. Please join the talented students at the Hansen Elementary Fine Arts Festival. The Festival is being held at the Hansen Elementary School 1800 Central Street on Thursday April 11, 2019. The doors will open at 6:30 PM. 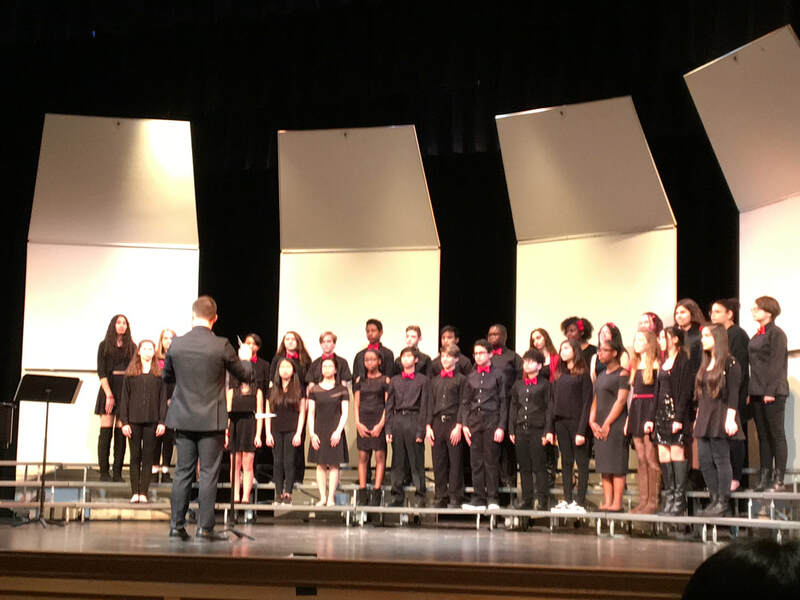 MICCA Send-Off Concert- Stoughton's Symphonic Choir and Treble Chorale to host Balwyn High School from Victoria, Australia! Stoughton's Symphonic Choir and Treble Chorale Students are hosting a special guests from Victoria Australia! The Symphonic Choir and Treble Chorale will perform on Friday, April 5, 2019 at the First Congregational Church in Stoughton, located at 76 Pierce Street. Performances will begin at 7:00 PM. 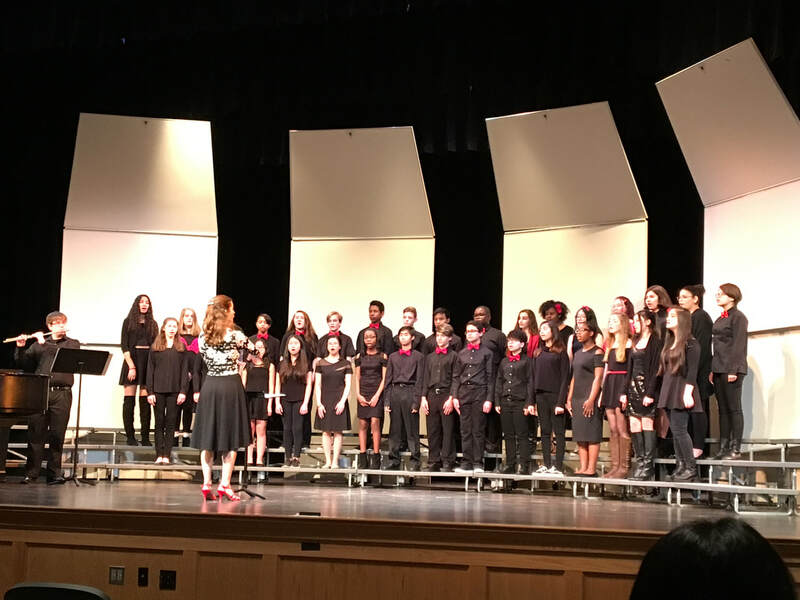 Stoughton's Symphonic Choir and Treble Chorale and the Balwyn High School Choir and Jazz Band from Victoria, Australia will all perform musical selections, they will then conclude the evening with a joint combined piece call Ancient City. Please come and enjoy the music with our students and guests from Australia. OMS Drama Club presents Seussical the Musical Jr.
Come and enjoy as the OMS Drama Club present Seussical the Musical Jr. The students have been rehearsing for many hours and would love for you to come and watch them perform. Tickets will be available at the door: $10 adults/ $5 students and seniors. Stoughton Drama Department is proud to present Roald Dahl's James and the Giant Peach. The performances are on Friday, March 15th at 7:00 PM; Saturday March 16th at 7:00 PM and Sunday afternoon, March 17th at 2:00 PM. Admission at the door will be $10 for Adults and $5 for SHS students/Faculty/Children, and Seniors. Please come and enjoy a performance as the students have rehearsed many hours and would love for you to come and watch them perform. ​Stoughton High School will be hosting eight local high school jazz ensembles for the Massachusetts Association of Jazz Education's Southeastern Senior Jazz Festival on Thursday, March 7, 2019 in the SHS Auditorium. Audience admission is $8 per person, and $5 for children and seniors. There will be concessions available in the cafeteria. Please join us for an afternoon of outstanding jazz talent! SHS is hosting the MAJE Festival on Early Thursday,March 7, 2019! We will hold a bake sale at the concessions and Mrs. Fiske would love you to whip up your favorite Dessert and bring it to the cafeteria after school on Early Thursday. She would also appreciate if you could sign up to help on March 7th. There is a sign up sheet on the bulletin board outside Room E204.